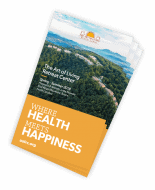 This agreement is entered into by and between The Art of Living Foundation – USA on behalf of itself and its affiliates and licensors (“Organization”), and you as user of this website and potential participant in one or more programs of learning administered by the Organization (the “program” or “programs”). Nonrefundable credit toward a future AOLRC program or stay (less a $50 processing fee) is available if you give notice between seven and one day(s) before your program or stay. Credit may be applied to any AOLRC program or stay for one year following date of issue. AOLRC reserves the right to cancel a program at any time. If AOLRC cancels a program, you will receive a full refund. Some programs may have special cancellation policies; see individual workshop descriptions. If a participant attends no sessions of the course, the course registration and full course fee can be transferred to another course of the same course type within 60 days after the end of the course originally registered for. If a participant is unable to finish the course s/he can take another course of the same course type for no additional fee. 1. The nature of Organization programs requires me to be qualified, in good health, and in proper physical condition to participate in such programs. If, at any time, I believe or am advised that the conditions of an Organization program may be unsafe for me, I will immediately discontinue further participation. 3. I fully accept and assume all Risks and all responsibility for losses, costs, and damages I may incur as a result of my participation in Organization programs.